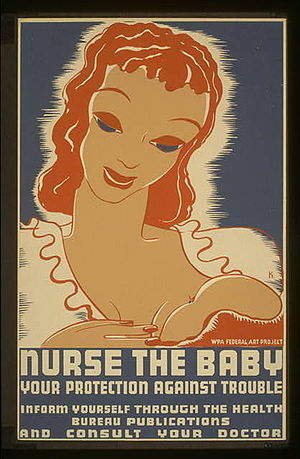 TODAY Moms – TIME’s breast-feeding toddler cover spurs shock, talk. Time Magazine’s new cover is causing a stir among mothers everywhere although breastfeeding has been around forever. 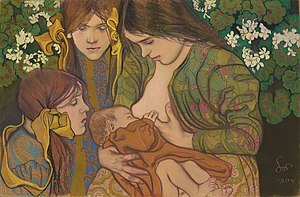 Noblewomen hired wet-nurses to breast feed their babies and many women in capable of breastfeeding have done the same long before the invention of the baby bottle. Why has breastfeeding become the “ugly” word in child care? What are you’re feelings on this subject? Do you agree with Dr. Bill Sears and his wife’s idea on attachment parenting, which they explain in their book, The Baby Book? As a mother myself, I don’t feel a mother needs to breastfeed into the toddler years to form a strong bond. On the other hand, I did let my children sleep in my bed with me and did not even bother buying a crib. In fact, at 14 and 15 years of age my daughters still like to climb into bed with me and my husband on a Saturday morning. I posted this article on my Facebook page and a friend of mine put down her own thoughts about the Time Magazine’s breastfeeding cover. Here is what she said. What are your thoughts about attachment parenting and Time Magazine’s cover? Start a discussion and leave your comments in the, “Speak out, let’s hear your voice” box.